TAP order for a dozen of A350 could be cancelled if the privatization plan collapses. "The new aircraft are ordered, these aircraft have a much higher market value than was paid, the payment are recovered ... often, a way to maintain a company is to look for some added value for the future," said the President of TAP when asked if he has a plan-B in case of privatization collapse. 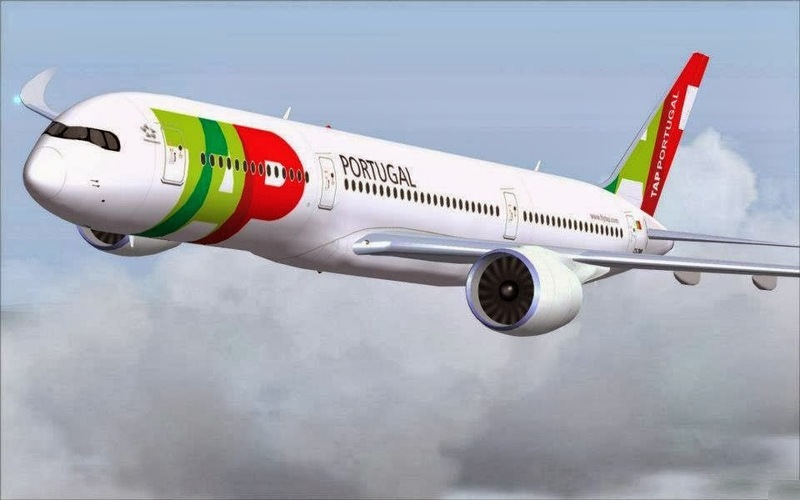 On presentation of 2014 data (TAP has registered losses of 85.1 million euros), Fernando Pinto acknowledged, without quantifying, that the company has already begun to pay for A350s ordered to Airbus 10 years ago. If the privatization plan goes ahead, TAP will receive the first of 5 A350-900 airplanes in Q1/2017. 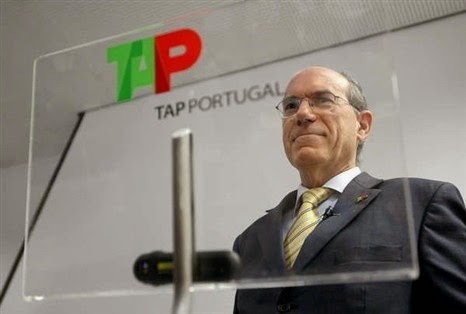 For the President of TAP, the strike called by the Civil Aviation Pilots' Union (SPAC) only a month before the due date for privatization of the airline "brings an enormous concern to anyone who is interested in". Based on the article “Fernando Pinto admite vender A350 se privatizaçao falhar” published in Diário Económico. 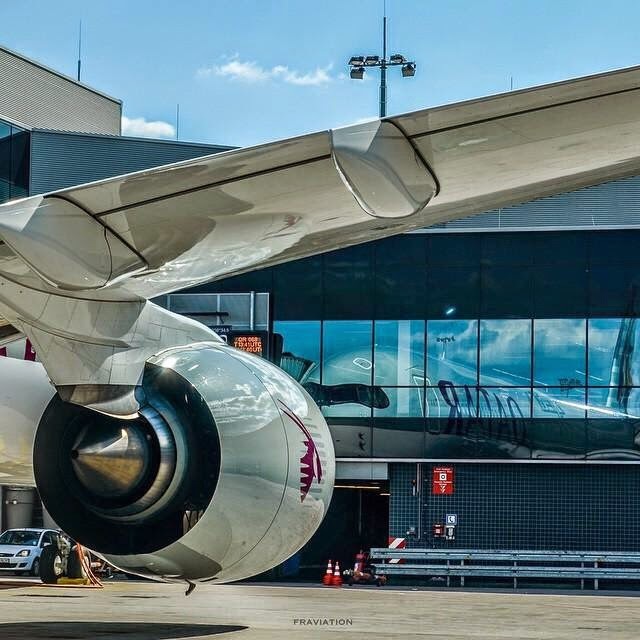 A350 high reliability. 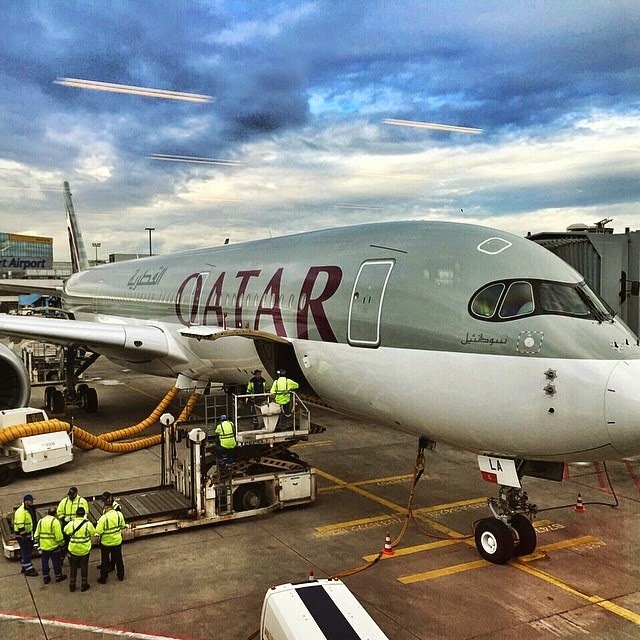 Only 2 punctual issues impacting operations between Doha-Frankfurt. With the caveat that we are only looking at 2 aircraft flying 2 daily rotations between Doha-Frankfurt, it seems that dispatch reliability for the initial period is around 98%. 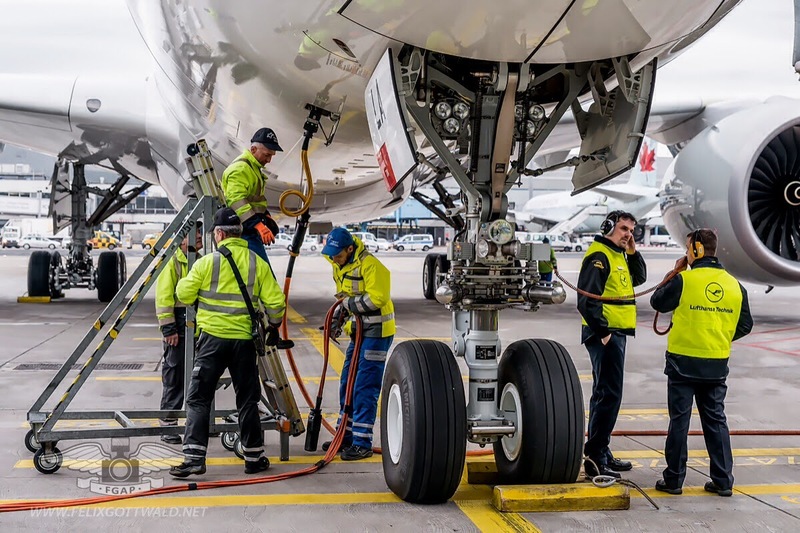 There has been only 2 issues impacting the operational A350 so far: a hydraulic hose that broke some time ago and a high lift issue that needed a spare part to be flown in beginning of April. It seems that the A350 is not beset by the myriad of system software issues that plagued the initial operation of A380 and 787. 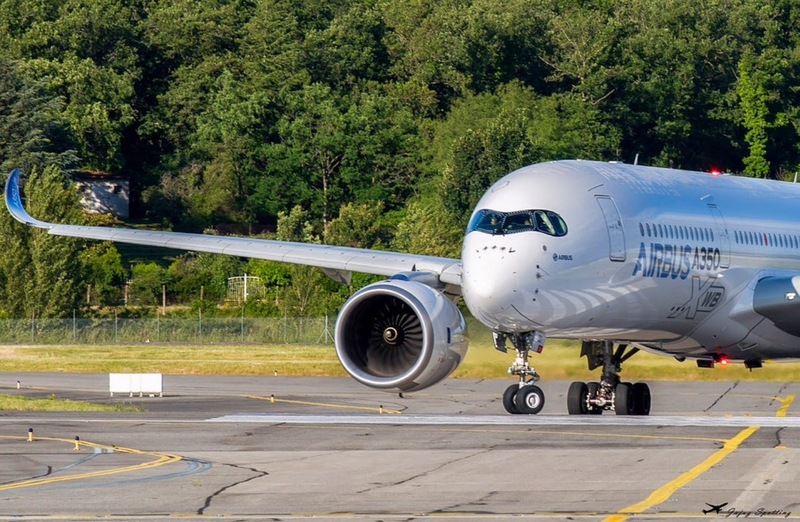 The A350 was effectively a further refinement of the A380 systems and Airbus has therefore been able to focus on system maturity before delivery instead of the exhaustive debugging of functionality that plagued Boeing for 787 and Airbus for A380. Based on the article “Bjorn’s Corner: Boeing’s 787 and Airbus’ 350 programs, a snapshot” published in Leeham News. 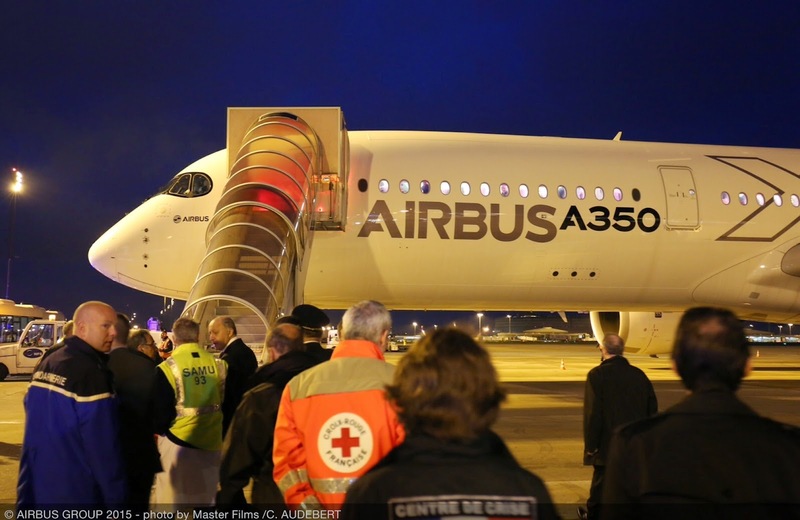 A350 flights to Nepal with medics and relief supplies. MSN5 flight prototype with cabin interior is flying to Katmandu transporting aid relief and medical personnel on behalf of several French NGOs. 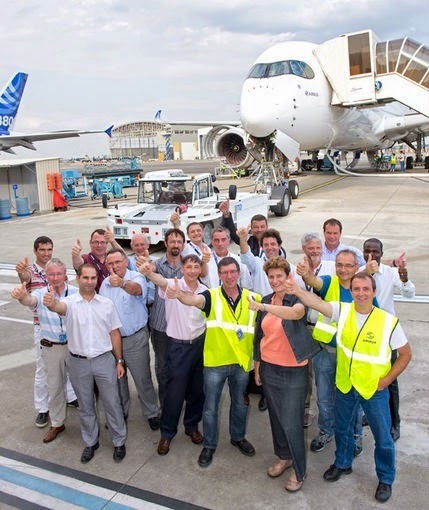 The A350 will on it's return-flight repatriate roughly 200 French nationals. Airbus Fundation is working with Nepal Airlines in a delivery flight of an A320 this week from Hamburg. Update1: onboard high nutritious food products provided by Action contre la Faim, medical equipment and personnel for Médecins du Monde, emergency freight and personnel on behalf of Pompiers du Rhône and 25 humanitarian personnel, six medical personnel and two from the French Foreign Ministry. The aircraft returned back to France in less than a day after picking up more than 200 survivors at Katmandu airport. 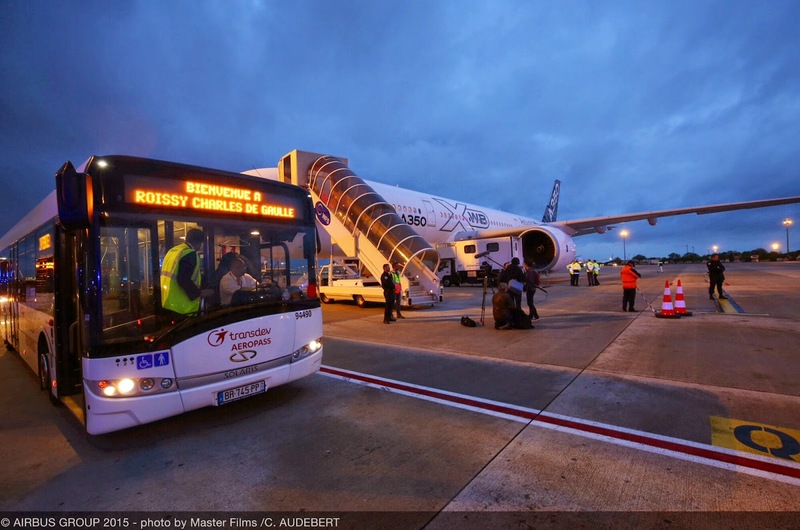 The A350 touched down Paris CDG airport at 5.45am with 206 people on board. There were 12 children and 26 injured people, 2 of them in a very serious condition. Although the large majority were French, there were also Germans, Swiss, Italians, Portuguese, Turks and Koreans. 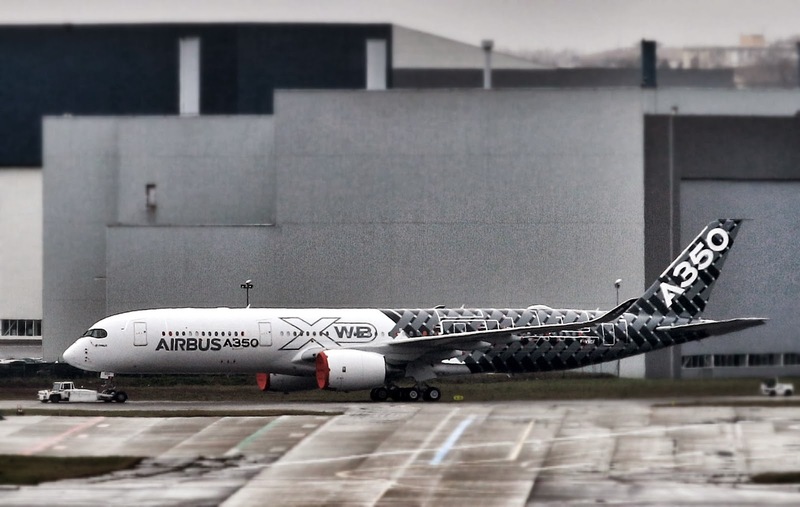 Batch-1 A350 prototypes have rework scheduled as part of the Final Assembly process. 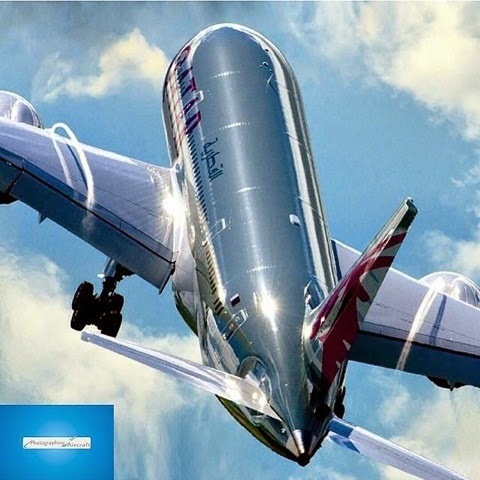 This rework is a matter of weeks as compared to years for the initial 787. Airbus has installed temporary rework hangars made out of tents to cater for this rework. 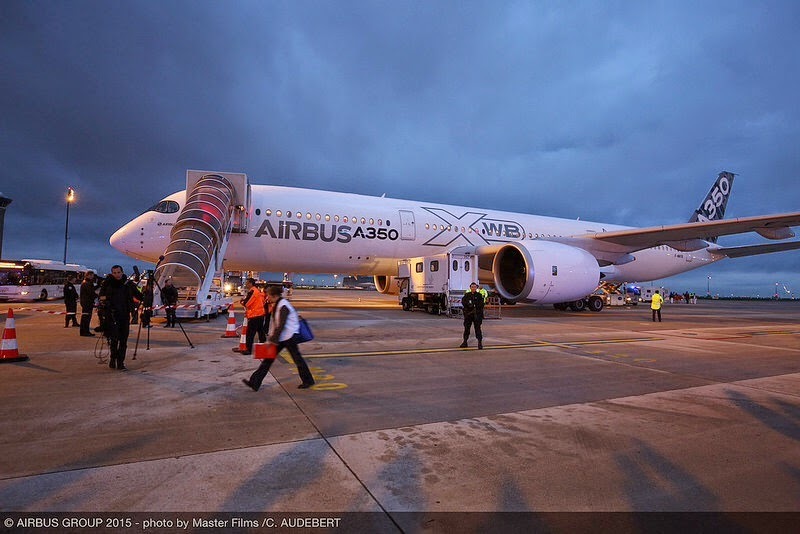 The flight test prototype MSN3 had their engines removed last weeks at Toulouse. 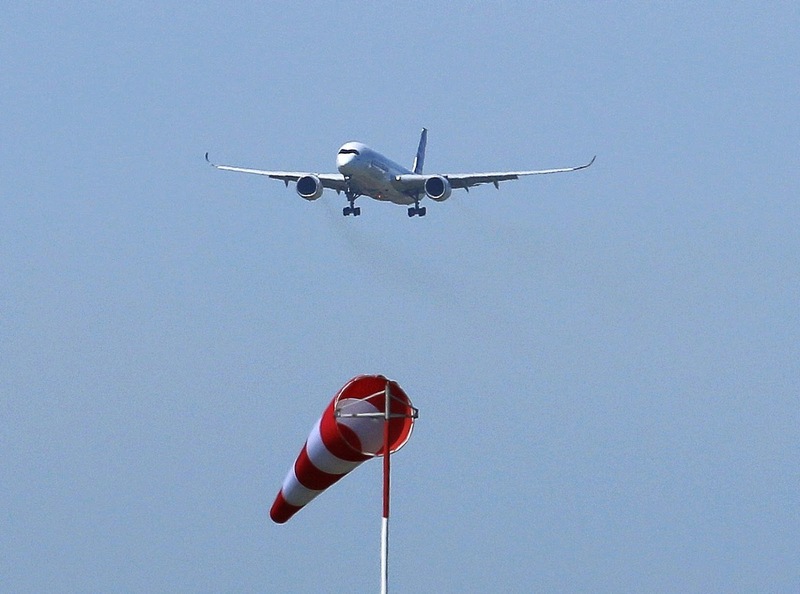 Some A350 suppliers could start repatriating work to Europe. 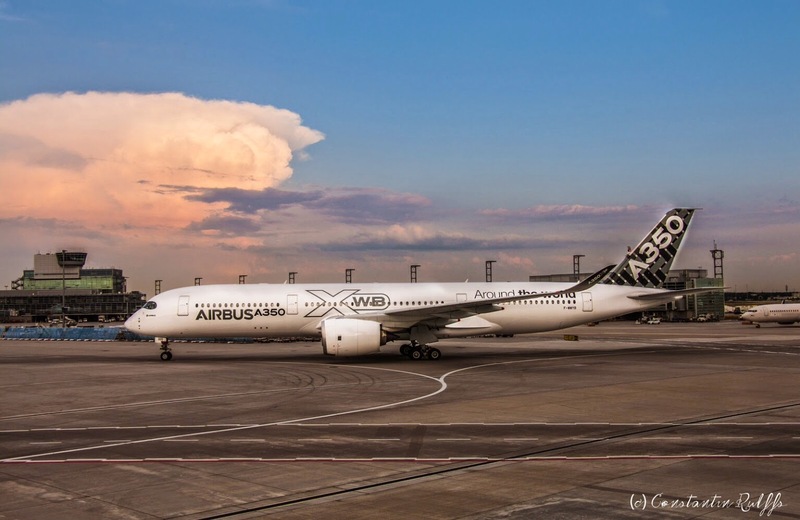 Airbus sees continued strength in the aircraft market and may be able to increase production of its most popular jets beyond their planned rates if that trend continues. 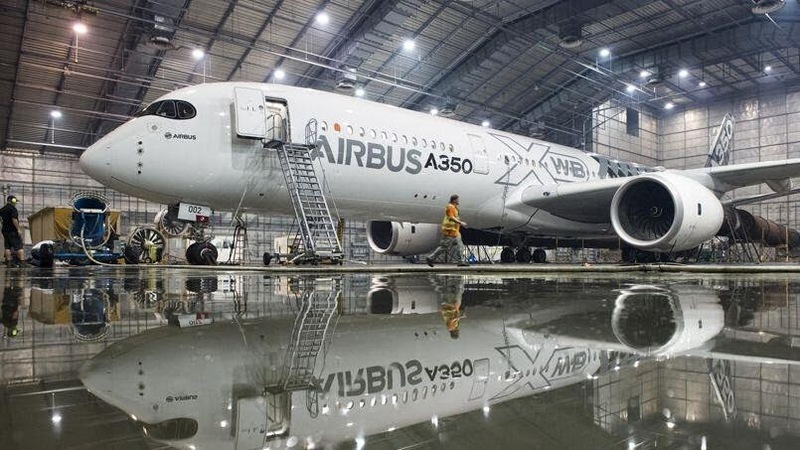 Fabrice Bregier, chief executive of the plane making unit of Airbus Group, said he believed Airbus would eventually recapture the top plane making slot from Boeing as its new A350 jet comes into its own, but market share came second to profitable growth. 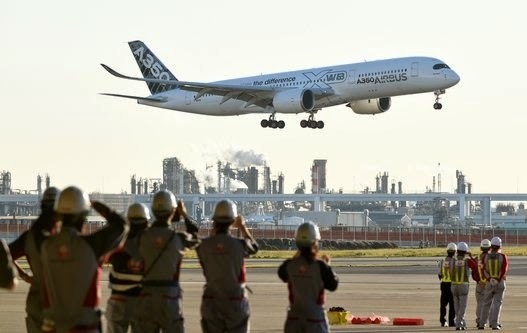 Airbus is well placed to deliver 15 wide-body A350s this year and continues to expect more orders than deliveries in 2015, he said in Paris at a briefing to French aerospace media association AJPAE. 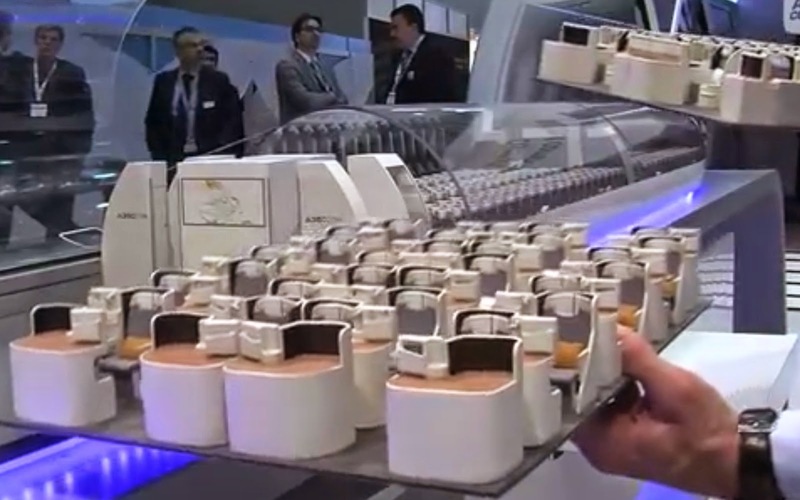 Bregier said the weak euro would not have much short-term impact on Airbus due to hedging, but that it would provide immediate benefits to small export-oriented parts suppliers. Some of those smaller companies in the supply chain may stop offshoring work to cheaper locations and start repatriating work to Europe as a result of currency moves, he added. 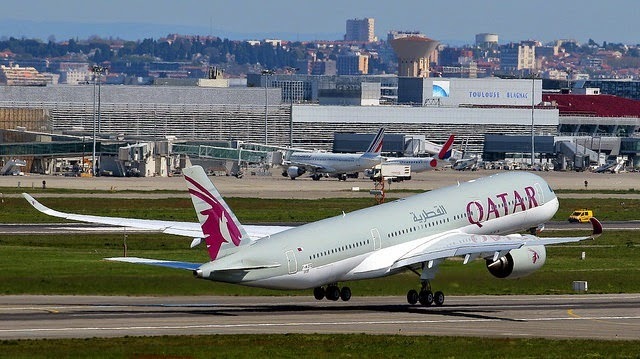 3rd A350 for Qatar is already at the Customer Delivery Center at Toulouse and has completed some flight tests. 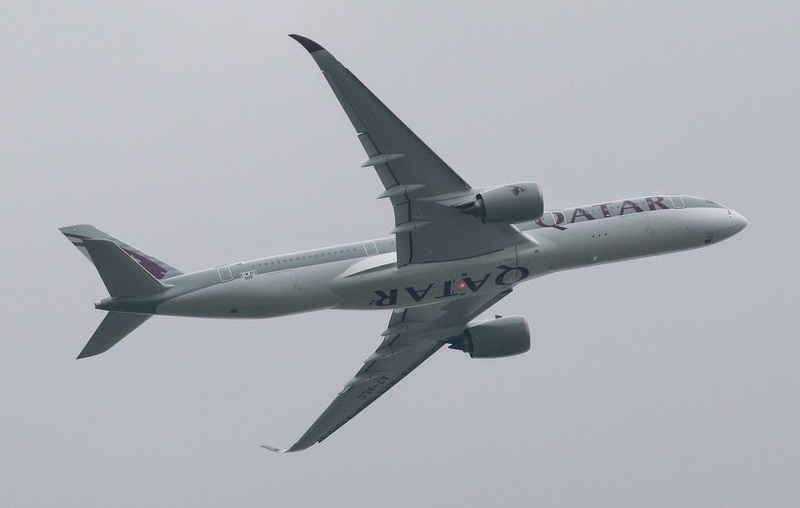 But based on what Qatar Airways CEO Al Baker has told Leeham News "there might be an issue with the delivery as one engine is close to the allowed vibration level". 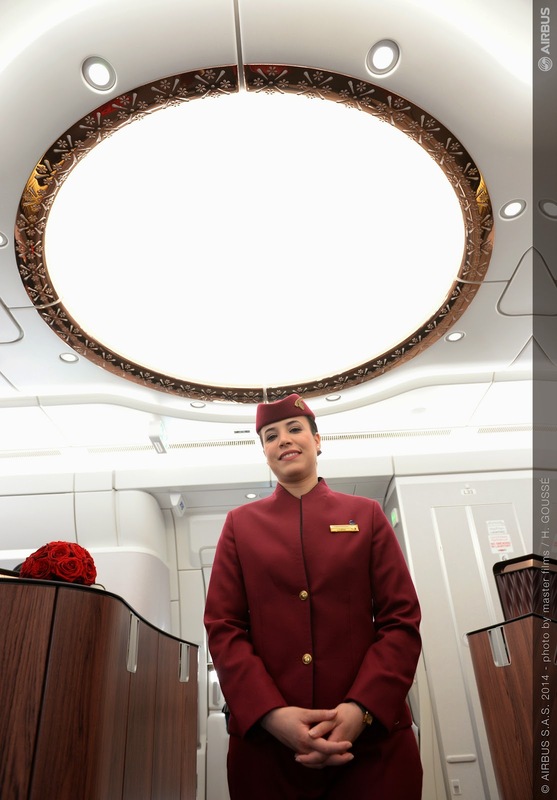 Qatar might take an issue with that but apart from Qatar’s normal insistence on a perfect product to be presented at acceptance, there seems to be no real issues with the aircraft at present. Based on the article "Bjorn’s Corner: Boeing’s 787 and Airbus’ 350 programs, a snapshot" published in Leeham News. 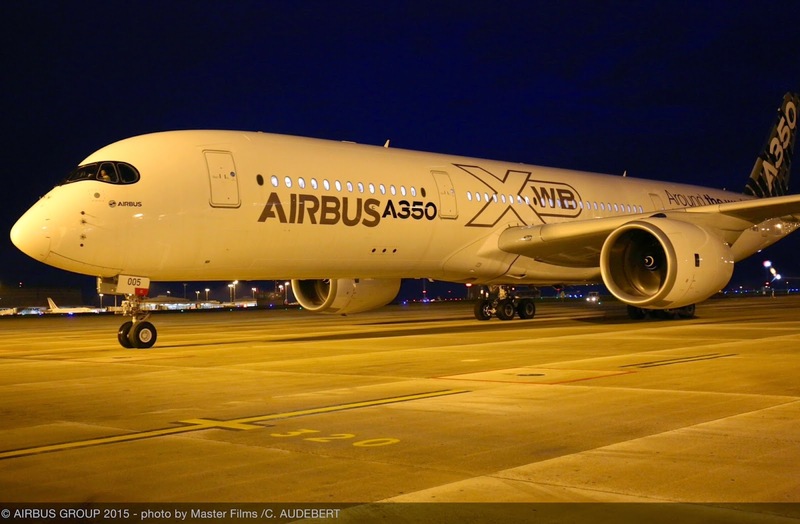 Airbus will not continue within A350´s tier1 Alestis when it returns to profitability. Airbus considers abandoning the shareholding of Alestis when this rescued Spanish tier1 returns to profitability. "We entered in Alestis to give a more businesslike management. 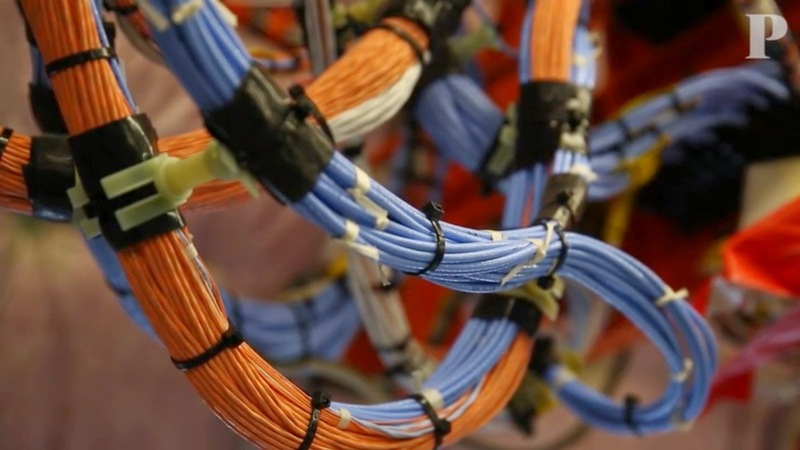 The idea was always clean it up, give it future and get out", said the Head of engineering for military aircraft at Airbus Defense & Space, Miguel Angel Morell. 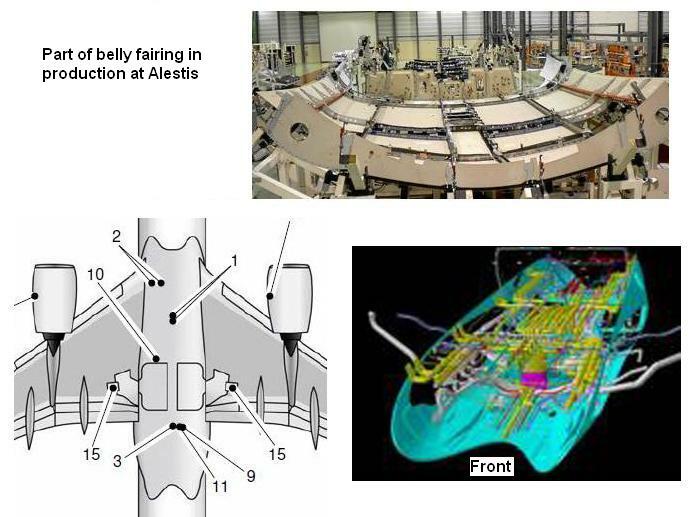 The Airbus-Group Spanish manager avoided concrete deadlines alluding to that Alestis depends on Commercial division of Airbus. 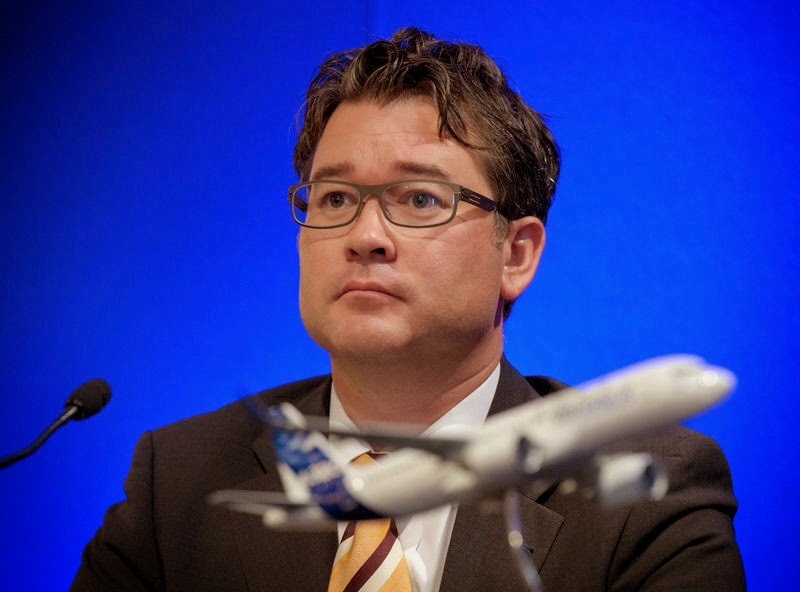 "But I think that at the moment it is fully profitable, Airbus will have no intention to continue in Alestis," said Morell. 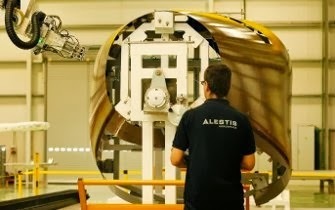 Airbus was bound to recue Alestis when it was in bankruptcy as a consequence of several problems in the development of A350 belly fairing components. Later, Airbus even entered its shareholders. The share capital of Alestis is currently set to 56.1 million euros with 3 shareholders; Airbus with 61,91% of the representation, the Spanish public society of industrial participations (SEPI) with 24%, and Andalusian bank Unicaja with 14%. 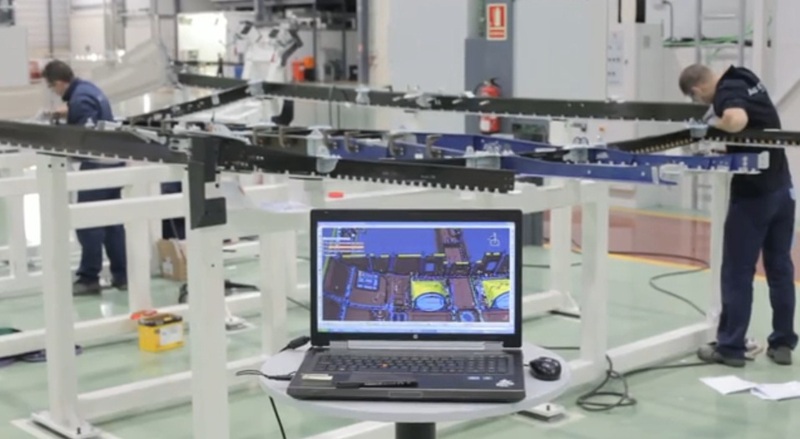 Alestis should become "the company of reference for Airbus group", said Miguel Angel Morell. Based on the article “Airbus se plantea salir del capital de Alestis cuando vuelva a ser rentable” published in Europa Sur. 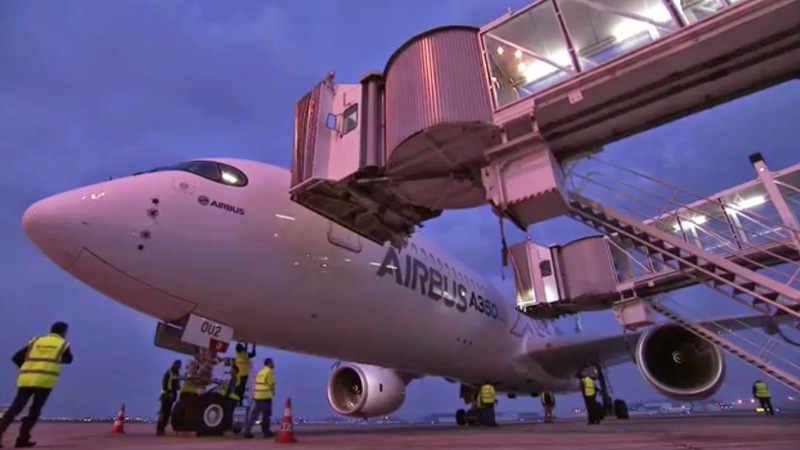 Airbus hit out at suppliers of cabin equipment last week, saying their failure to get to grips with chronic production delays was "unacceptable". 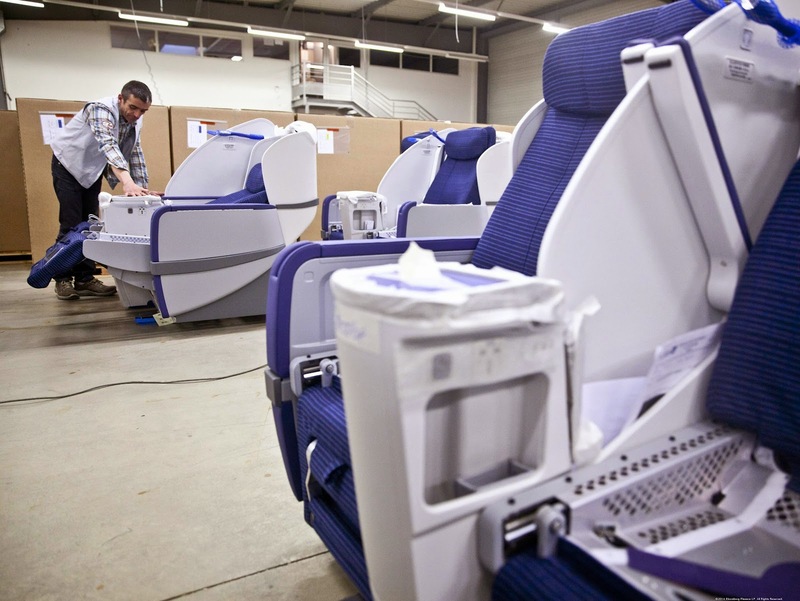 Fabrice Bregier, Airbus CEO did not single out any supplier but was responding to a question about French seat maker Zodiac, which has been in the spotlight over recent delays. 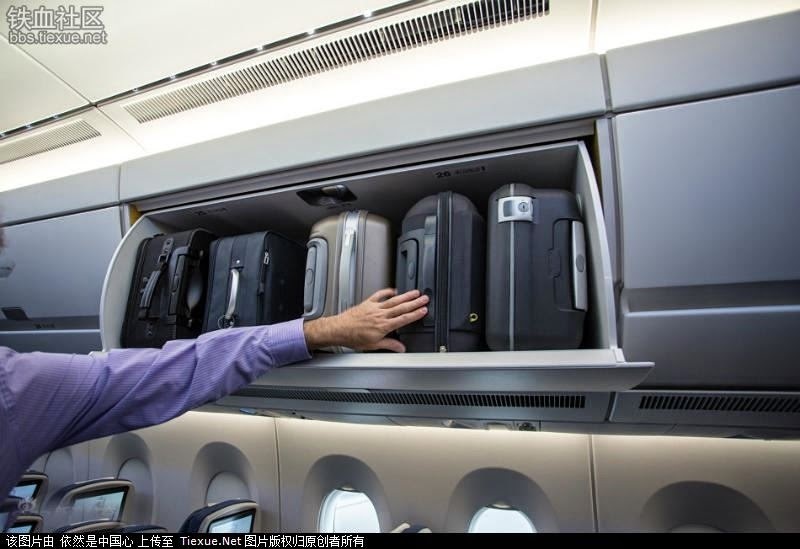 "I think the cabin equipment suppliers would do well to have an equivalent level of industrial maturity to that of aircraft manufacturers," he told a group of aerospace journalists. "They are big industrial companies now, they are not small companies, so they must put in place measures to meet their obligations. It is becoming unacceptable." Shares in Zodiac Aerospace slid last month after a profit warning due to delays in aircraft seat production. 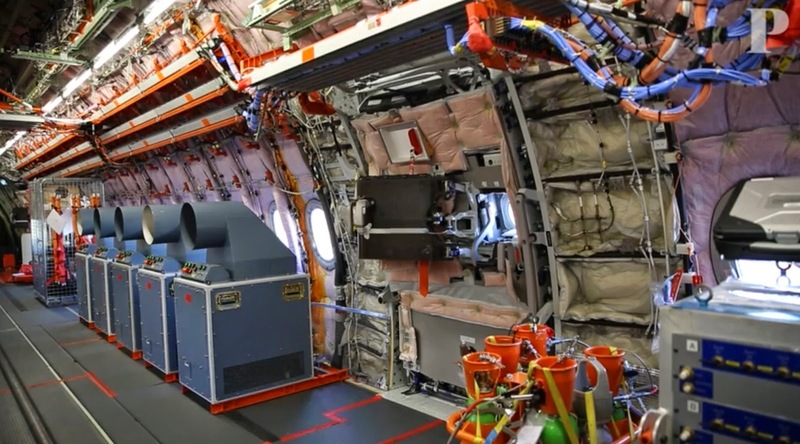 Airbus and Boeing have both intervened by placing more people in Zodiac factories to help overcome the delays, and are insisting on vetting Zodiac seat sales as an ‘exception’ to their catalogs, industry sources have said. Based on the article “Airbus chief lambasts cabin equipment makers over delays” published in Reuters. 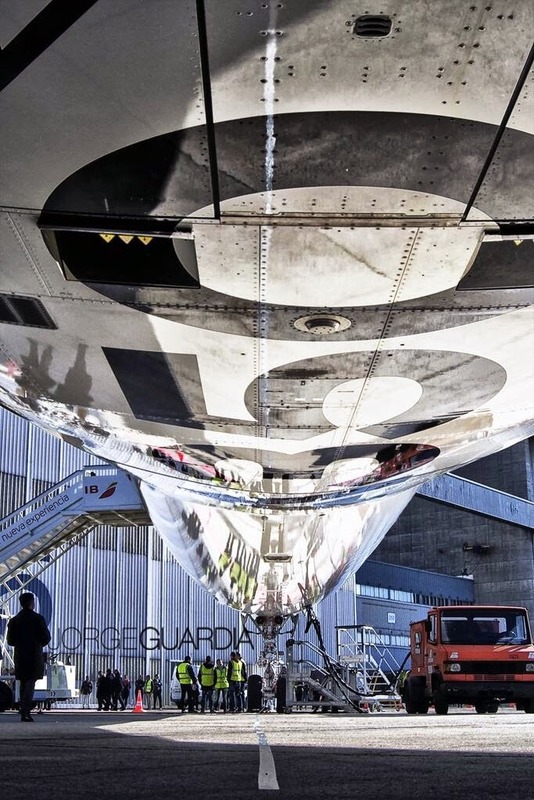 $30 million is the cost of typical A350 spares-pool to support 10-12 aircraft. Airbus, aiming to become a “major” player in A350 aftermarket support, is poised to announce its first long-term agreement with an A350 customer and is in talks with several more, a company executive reported. 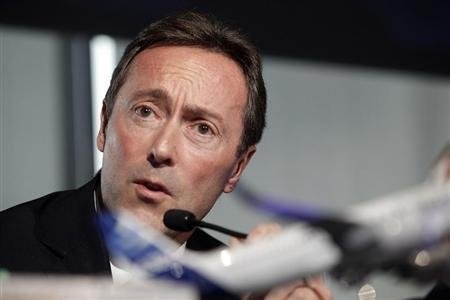 The 12-year deal with a European operator is at the airline’s board-approval stage, according to Airbus Vice President-Services Solutions Pierre Yves Reville, and should be finalized soon. 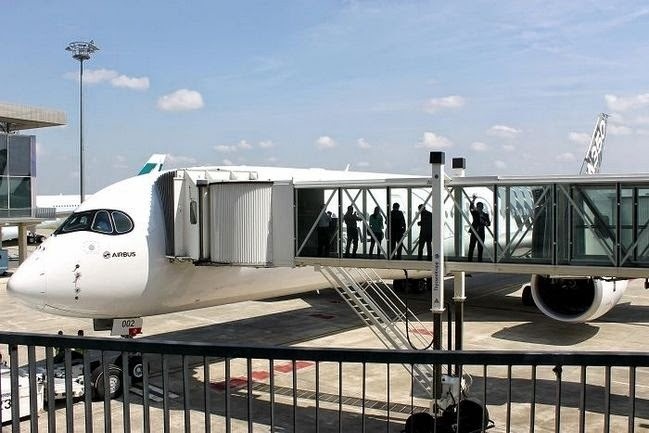 The deal is expected to be an Airbus Flight Hour Services (FHS) agreement, in which operators pay per flight hour for access to spares pools. Customized services are added based upon customer needs. 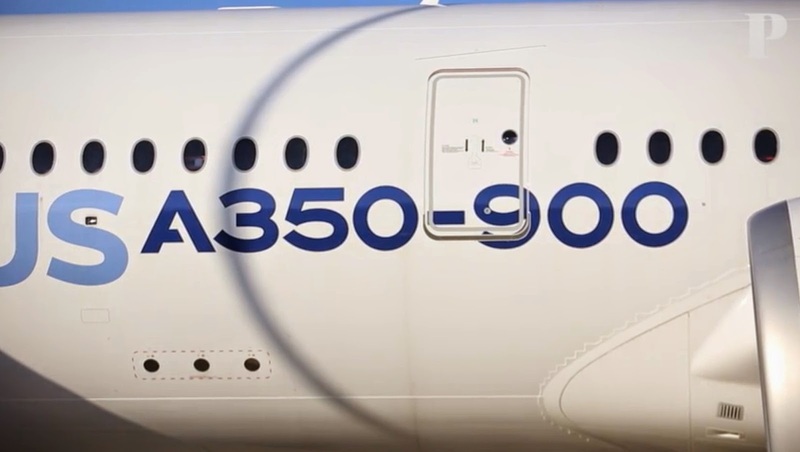 Airbus is talking with several other A350 customers, including Latam Airlines Group, Thai Airways, one other major European operator and 2 Chinese operators, Reville confirmed. 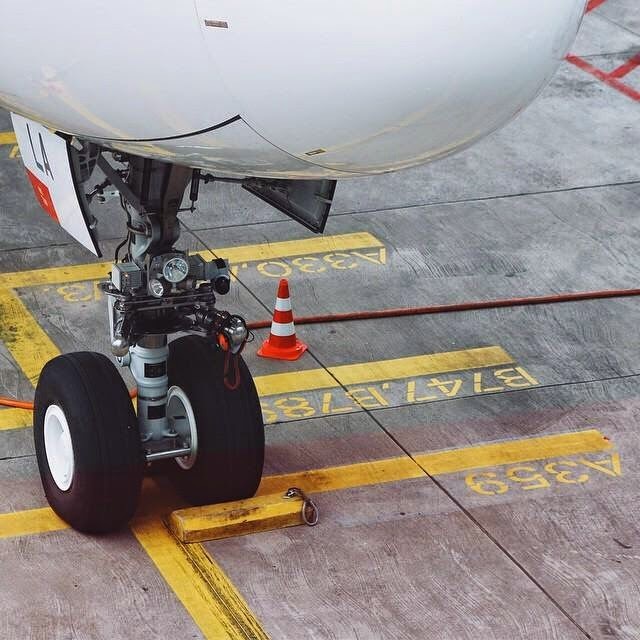 Spares pools are becoming more popular as airlines look to minimize parts-stocking costs, particularly with the newest-generation aircraft. The increased technological sophistication and improved reliability means that complex components for models like the A350 are needed less often than similar parts on earlier-generation aircraft. 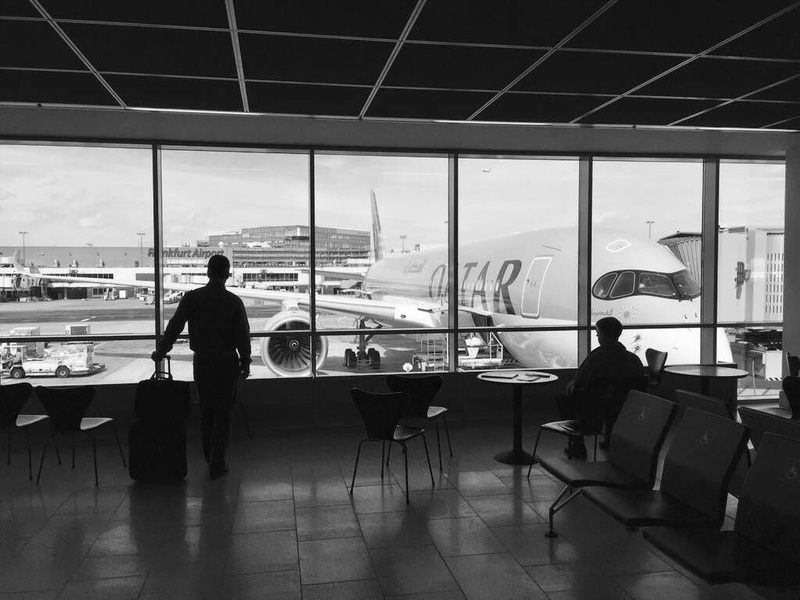 This makes them more expensive to stock, and more challenging to stock in the right locations within a single airline’s network. The trend has operators turning to aftermarket services and logistics experts to provide on-demand pools for certain spares. 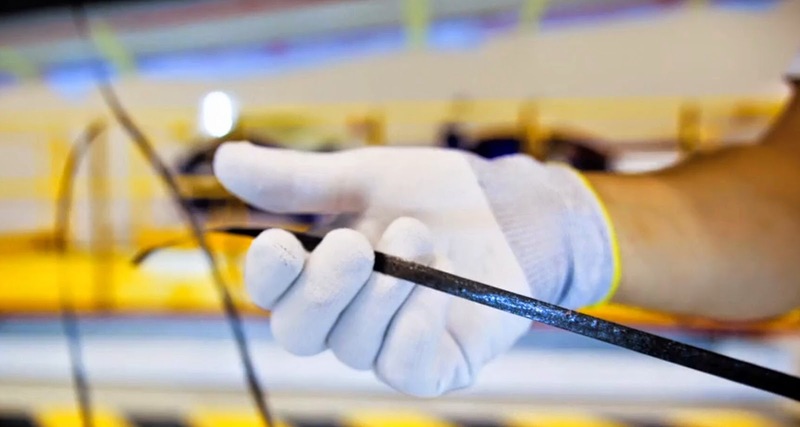 Airbus, which can team with its wholly owned parts and logistics subsidiary Satair on comprehensive-support packages, sees itself as in a prime spot to help meet the growing demand. 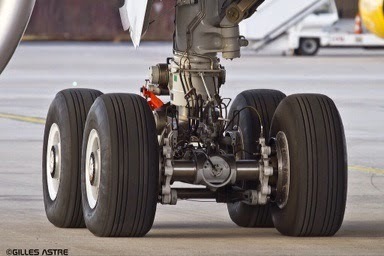 Airbus calculates that an airline needs 80-90 A350s before it can economically justify its own spares pool. 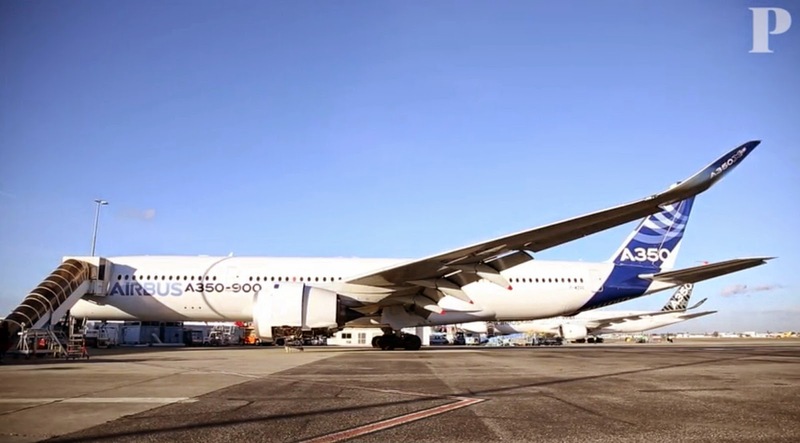 A typical A350 spares pool to support 10-12 aircraft can run about $30 million. Airbus’s FHS offering and its more-comprehensive sibling, Total Support Package (TSP), have been slow to take off, but the manufacturer says interest is picking up, both among A350 customers and current customers looking to add in-service aircraft to their agreements. 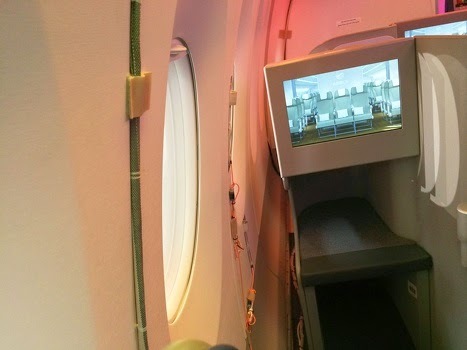 Cathay Pacific A350s more for relax-sleeping than for drinking & chating. 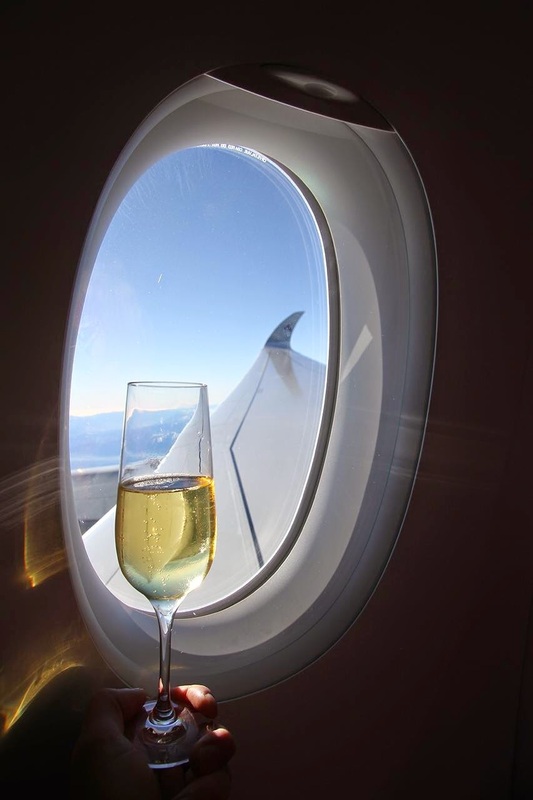 Cathay Pacific said its forthcoming Airbus A350s won't include an inflight bar where business class passengers can do some sky-high socialising. 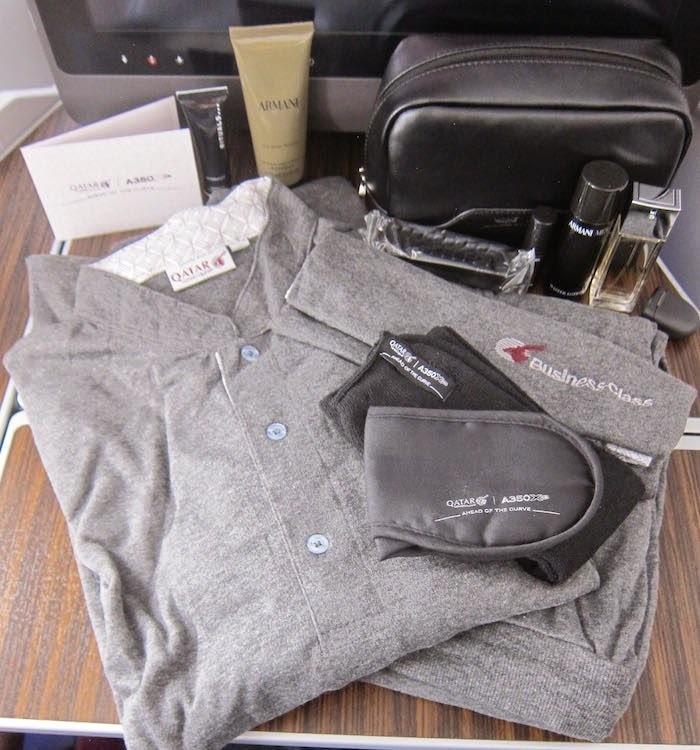 With the majority of Cathay Pacific's flights including an overnight component, the airline said that passengers rate comfort and sleep as a higher priority. 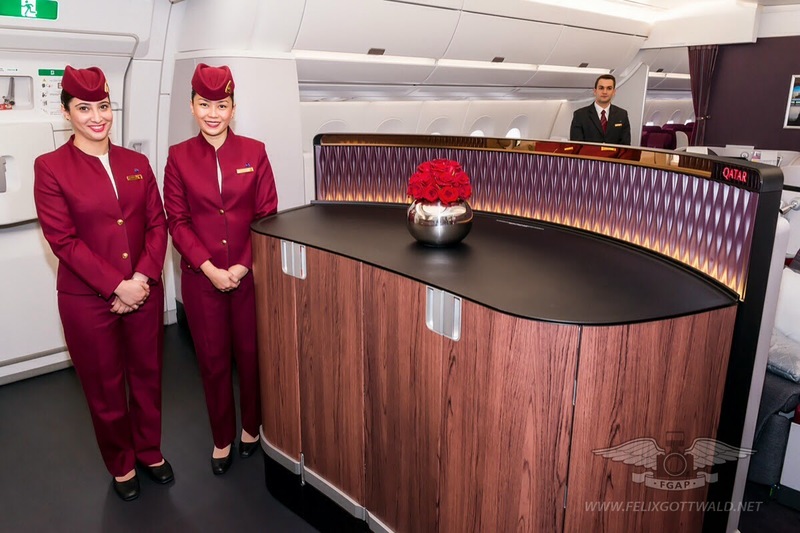 "The feedback from our passengers suggests that they are not inclined towards having a communal or lounge area in the cabin" said Rachel Khong, Cathay Pacific's Manager of Product for Premium Cabins & Ground. 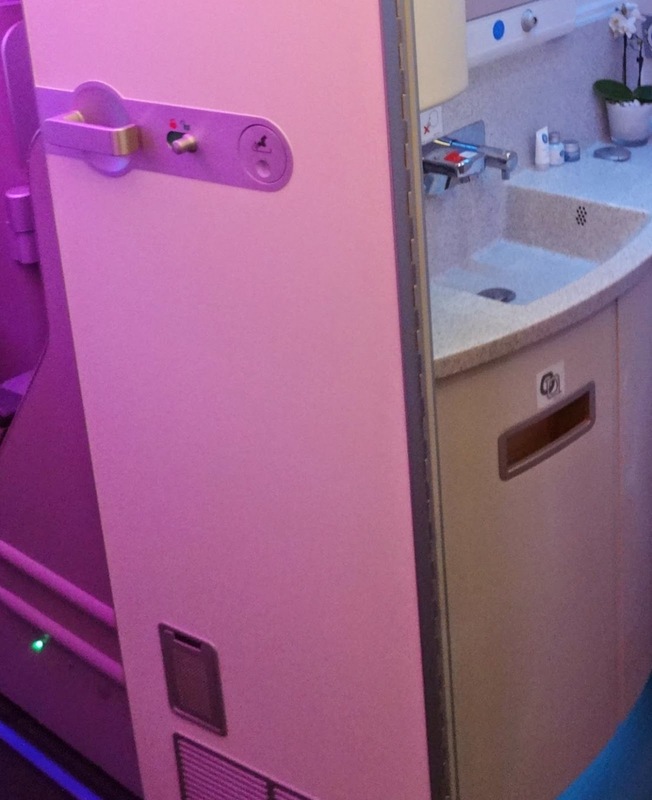 "Feedback indicates that they are concerned about noise pollution caused by other passenger mingling in the communal area, which would disrupt their relaxation or sleep." 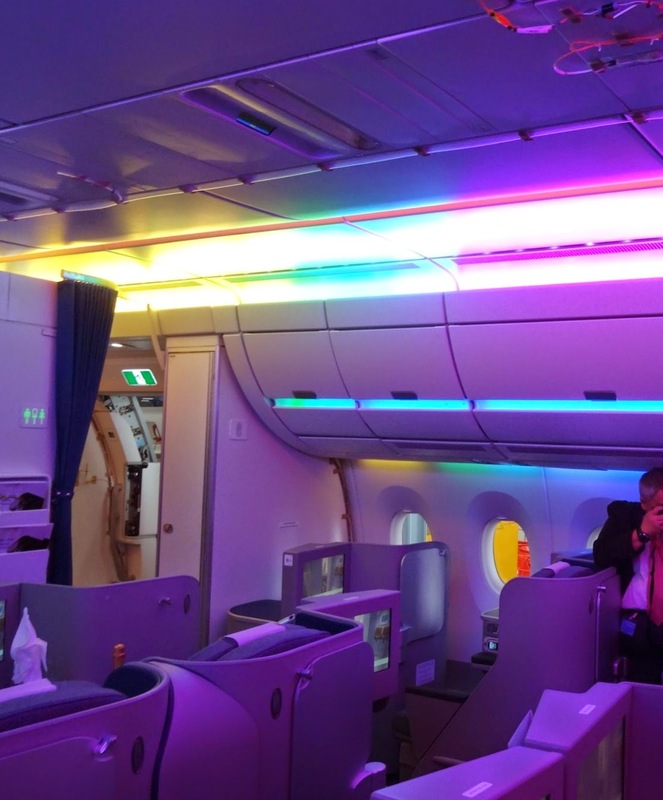 "Furthermore, a number of our passengers also indicated that they do not prefer to socialise inflight, and would rather spend their time relaxing within the privacy of their seat." 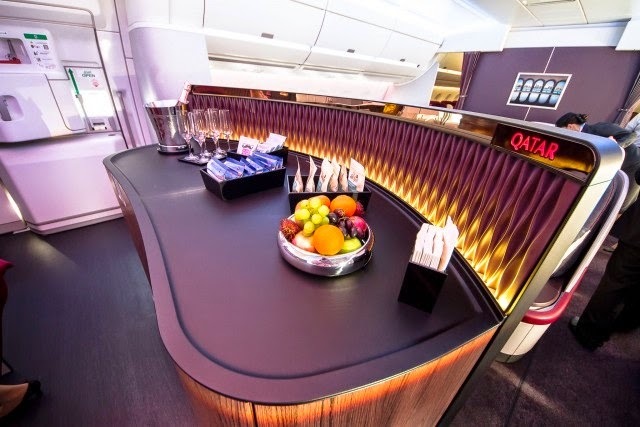 Inflight bars are of course de rigueur for the best Airbus A380s with Emirates, Etihad and Qatar all offering their own take on a social space for drinks, snacks and chats at 40.000 feet. Based on the article “Cathay Pacific Airbus A350 won't have an inflight bar” published in Australian Business Traveller. Diehl A350 interior´s main partner will move to a bigger Hamburg site. Diehl has unveiled plans to move into a new location in Hamburg, as it attempts the complex balancing act of consolidating operations, after a period of rapid growth, while continuing to expand. The new Hamburg site is part of a plan to reduce the number of its aerosystems division's locations in the city from 7 to 3. Two locations are conveniently located beside the Airbus plant, while the 3rd, new, site will bring together staff scattered at multiple locations north of the river. The division has seen phenomenal growth in recent times: “Aviation within Diehl has grown by a factor of 5 over the past 6 years – half through organic growth and half by acquisitions,” says divisional president Rainer von Borstel. “We’re in the transition phase from development to the series phase,” says von Borstel, and the company is fine-tuning its operations to handle that ramp-up. Based on the article “Diehl plans Hamburg site expansion” published in Flight Global. 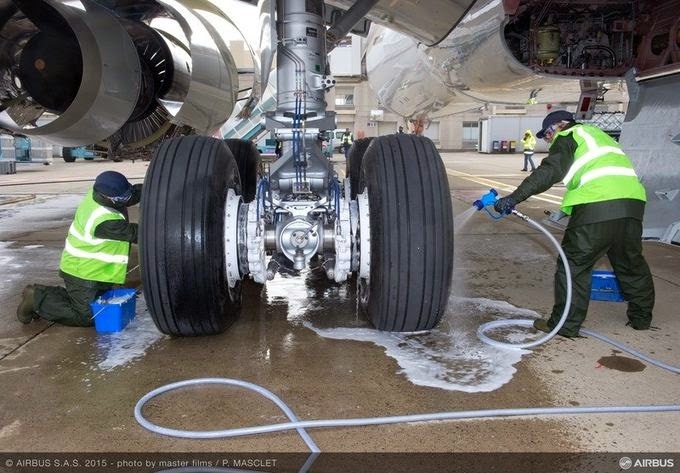 “Green” cleaning of A350 landing gear at Toulouse. 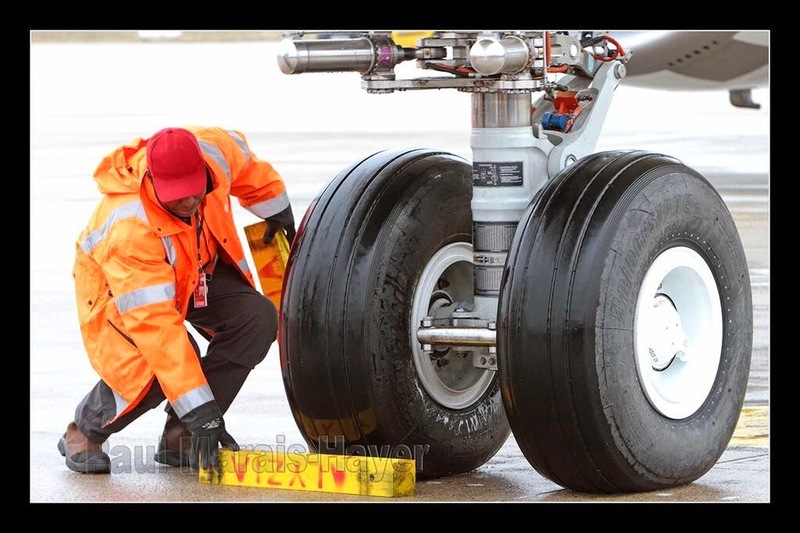 Airbus has marked another environmental achievement with its introduction of an innovative new method for cleaning aircraft landing gear in Toulouse. It has been specifically developed to prevent the discharge of foaming, non-toxic waste water in the nearby Touch River. 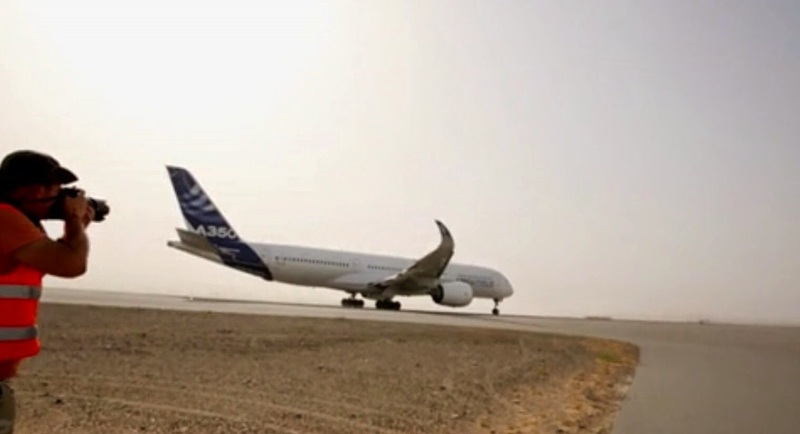 As part of Airbus’ regular aircraft assembly process, A350´s landing gear are cleaned outdoors using wipes or sponges with detergent and water. 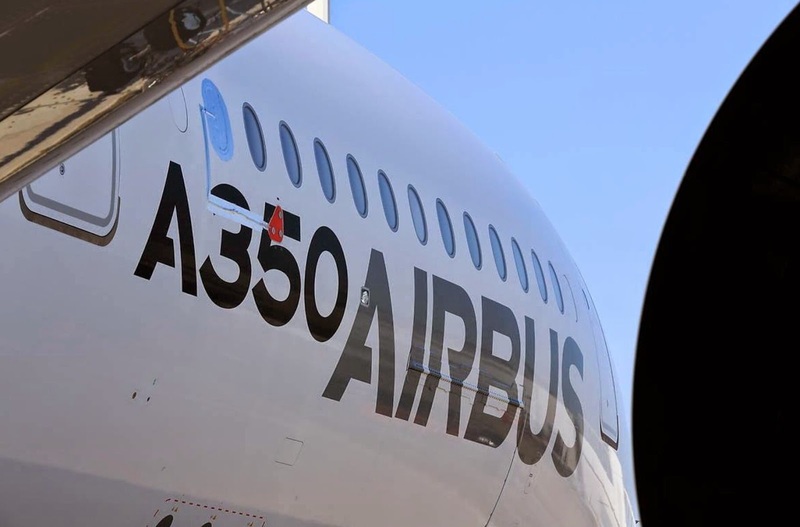 “Foam was regularly being seen on the surface of the Touch, and after some investigation, we found it was being caused by this process,” explained Elisabeth Dauba, who is in charge of the environment for Airbus’ final assembly lines. This foam is non-toxic as the individual products used are biodegradable, but it was clearly having a visible effect on the river. Working with Atalian, the company that is responsible for cleaning aircraft landing gear on site, a sausage-shaped container is now fitted into a gutter and inflated to store the water –which is then sucked out and injected into special cisterns with a double lining. Additionally, a special anti-foaming agent is added to the detergent to reduce the amount of foam produced in the guttering, as well as on the ground.